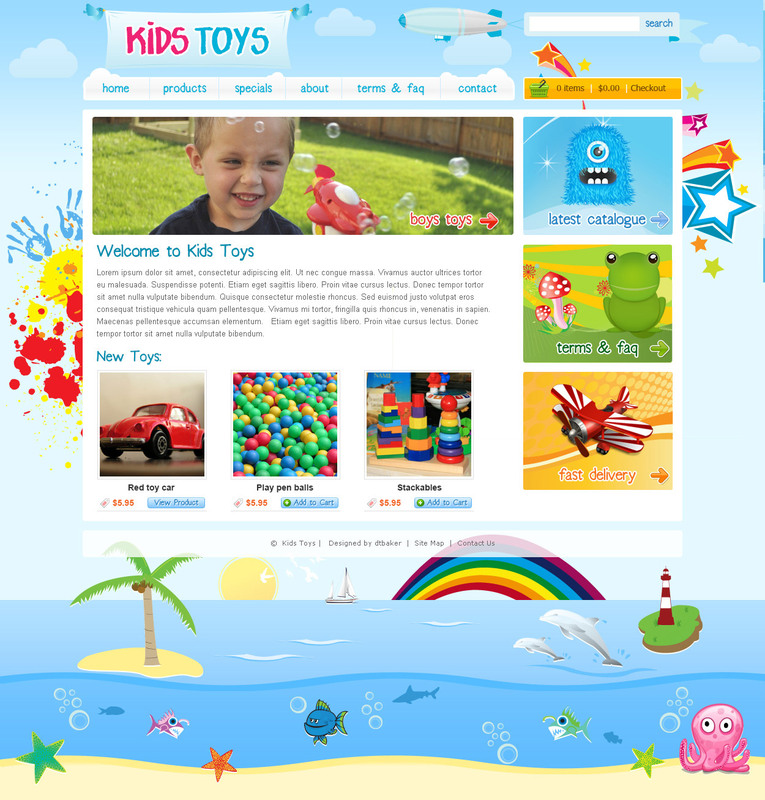 Kids Toys WordPress Shop is designed for children’s activities or products, the design features birds holding up the logo, a blimp holding the search box, stars and hand prints . There are 4 footer designs featuring a 2 underwater scenes, pond and frogs and a beach. This wordpress theme would be ideal for an online shop or children’s play centre, baby or children’s clothing, toys, games, online activities or anything! Let your creativity go wild. This WordPress theme now supports the excellent WooCommerce shopping cart system!